Join the Cavity Free Club at Willowbrook Park Dental! At Willowbrook Park Dental we believe in preventative dental care as a crucial step to maintaining a great, healthy smile. 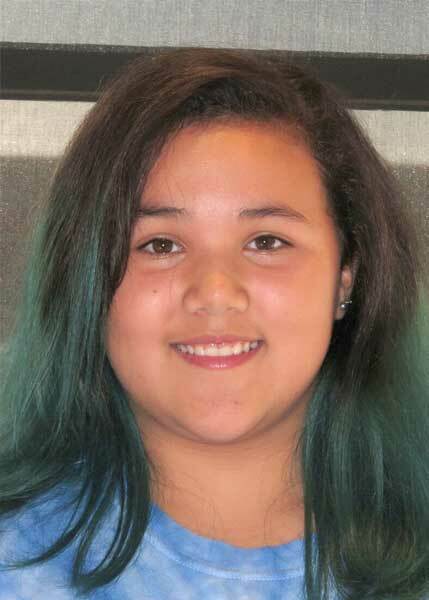 Encouraging a cavity-free smile from a young age is crucial to building great dental habits to last a lifetime. That’s why we introduced the Cavity-Free Club, which rewards patients of all ages for remaining cavity free between scheduled hygiene appointments. Eligible patients are placed in a draw for a monthly prize. There is a prize for children 3-13 years of age and a prize for patients ages 14+. Prizes do vary, but we often reward winners with movie tickets, which are fun for the whole family! 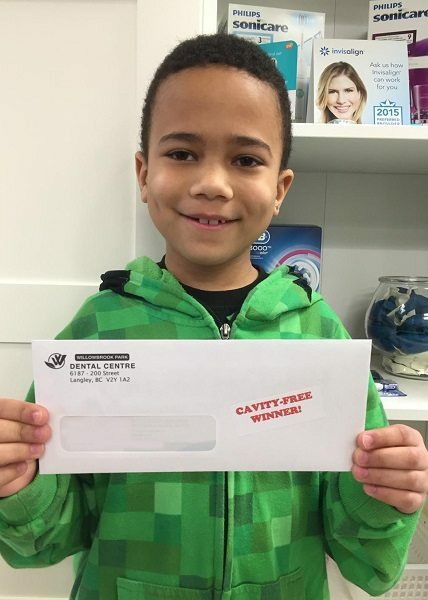 Marquis was the winner of our Cavity-Free Kids Club draw for February. Naya was the winner of our Cavity-Free Kids Club draw for January. 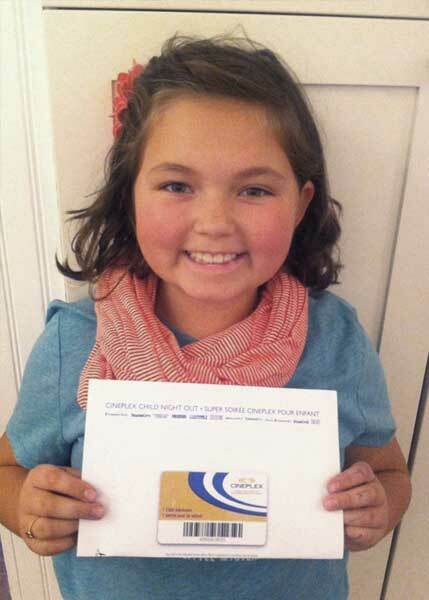 Ellie was the winner of our Cavity-Free Kids Club draw for October. 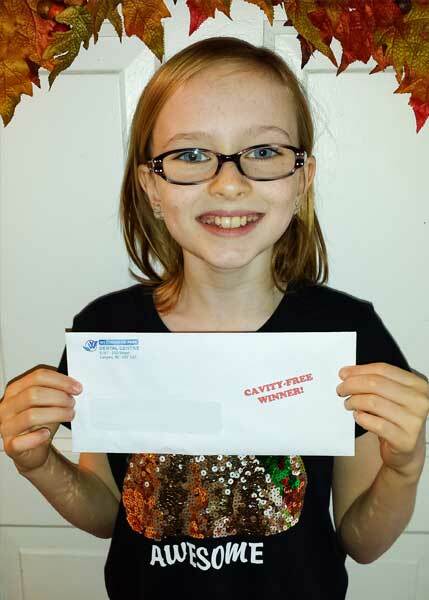 Cassidy was the winner of our Cavity-Free Kids Club draw for September. 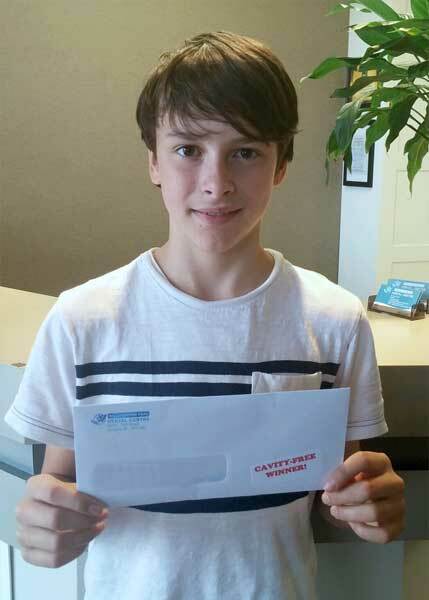 Ethan was the winner of our Cavity-Free Kids Club draw for June. 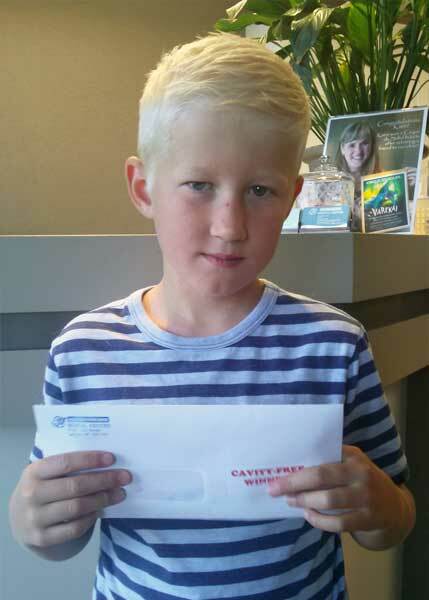 Aiden was the winner of our Cavity-Free Kids Club draw for July. 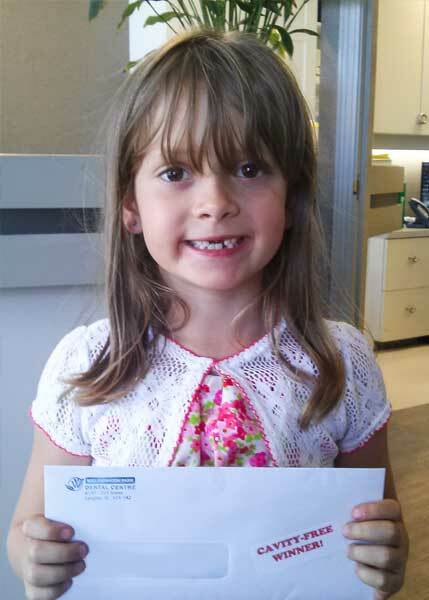 Madison was the winner of our Cavity-Free Kids Club draw for August. 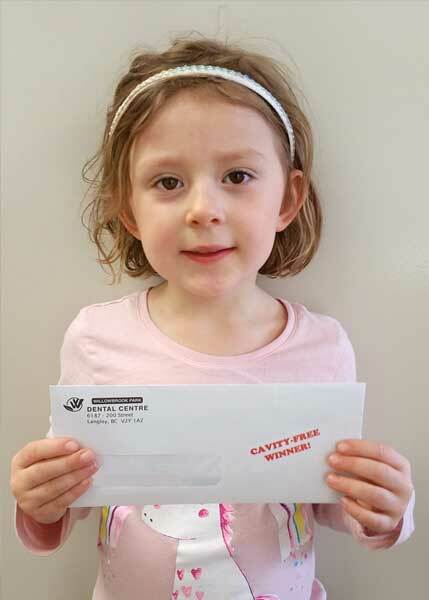 Marley was the winner of our Cavity-Free Kids Club draw for May. 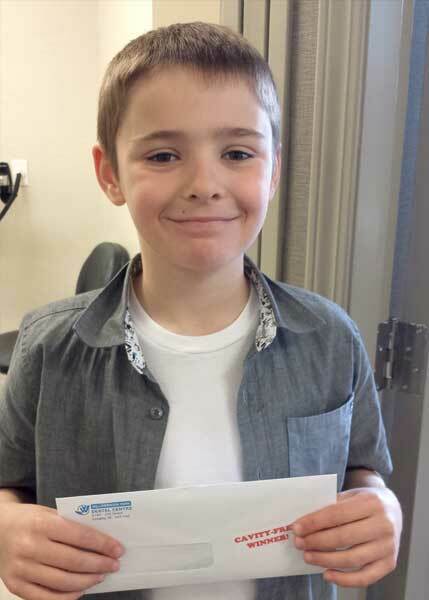 Devin was the winner of our Cavity-Free Kids Club draw for April. 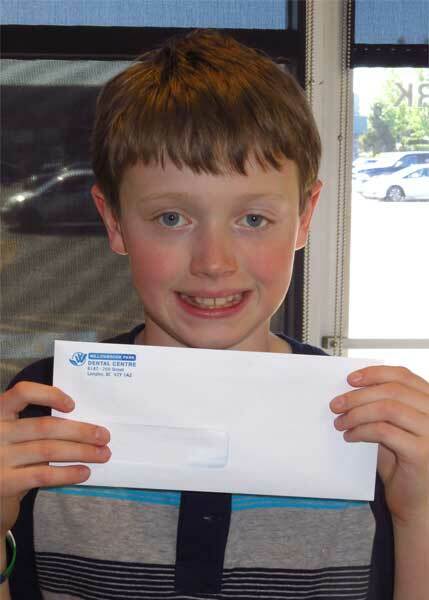 Mason was the winner of our Cavity-Free Kids Club draw for March. 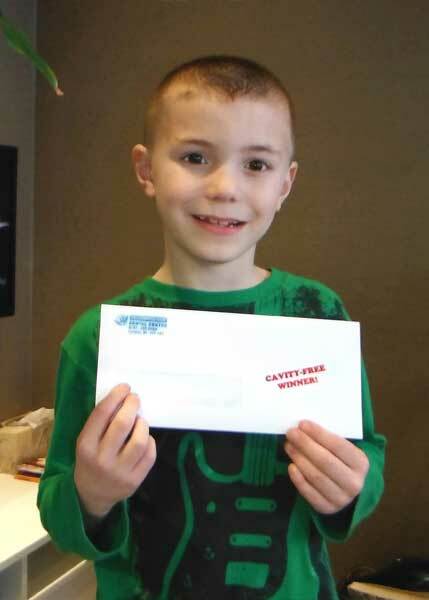 Cayden was the winner of our Cavity-Free Kids Club draw for January. He won a Cineplex movie pass. We have been giving out movie passes for the past two years for our Cavity-Free club, so visit us for a check up and see if you’re eligible to enter into our draw!